Cup foam lance 63946680 https://www.kaercher.com/ae/accessory/cup-foam-lance-63946680.html Short, handy foam lance with adjustable spray angle with 1 litre detergent tank. Ideal for cleaning cars due to its compact design. 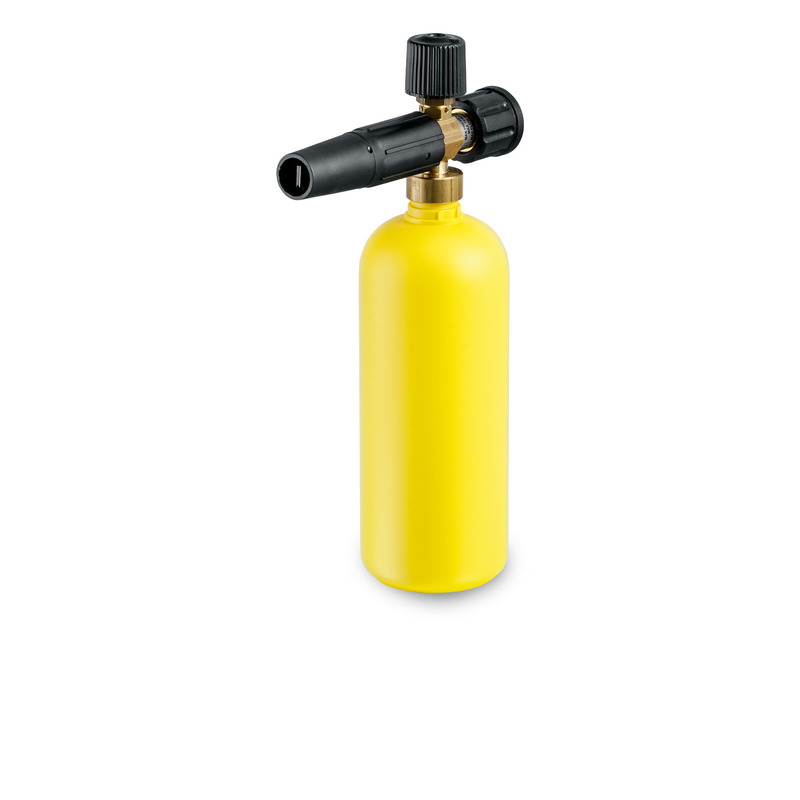 Short, handy foam lance with adjustable spray angle with 1 litre detergent tank. Ideal for cleaning cars due to its compact design. Short, handy foam lance with adjustable spray angle with 1 litre detergent tank. Kärcher foam lance is ideal for cleaning cars due to its compact design. Further features: Rotating connector (M 22 x 1.5) and variable detergent dosage via control on lance.